What is the Role of a Will Executor in NJ? 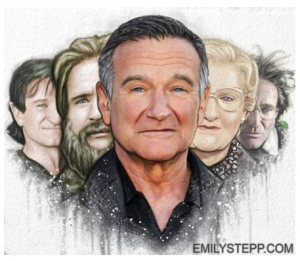 Are you trying to decide who to appoint as your will executor in New Jersey? This important decision could have ripple effects for your entire family, and deciding who to instill in this role is well worth taking some time. Your NJ estate planning lawyer can help you determine the role that a will executor will have in the management of your estate. The executor is key in probating the will. This is the process by which the will is admitted to court. The determination by the court that the will is legal is important because it empowers the executor to move on with his or her duties. The executor also takes legal title for estate assets, and this means that an accounting might be required. Running a business, managing a securities portfolio, or liquidating assets are all steps that might be taken by an executor depending on the complexity of the estate itself. It’s recommended that you choose someone who is familiar and comfortable with financial and tax matters since this is a key task carried out by the executor. Taxes typically have to be paid in advance of other debts, but getting the assistance of a probate lawyer is helpful in ensuring that each step taken by the executor is the proper one for the situation at hand. You might have heard that probate is an expensive and time-consuming process, and that is certainly true. Another added downside of probate is that your personal estate becomes a matter of public record. This is one of the biggest reasons to consider avoiding going through the probate process. A properly structured estate plan makes things easier to transfer those assets efficiently without a grueling process known as probate. Without a will, the probate process is officially guided by your state’s legal standards for the distribution of property after a person passes away. Avoiding probate now will help your family members in a difficult time and ensure that your estate is managed as efficiently as possible. Proper titling, including joint tenancy with rights of survivorship or tenancy by the entirety. Using certain accounts that allow for beneficiaries to be designated, such as a life insurance policy. Gifting assets while you are still alive. Establishing a living trust that you can make edits to over the course of your life. No matter what type of estate plan you intend to pursue, you should consult with a lawyer about how to handle this situation and what makes the most sense for you and your loved ones. No matter your reasoning for wanting to keep your estate private, but it needs to be accomplished with a lawyer’s help. Avoiding probate might not seem like something that benefits you directly, but during a time when your loved ones are already grieving and attempting to move on from the loss of someone they care about, having a thoroughly established estate plan means one less thing for them to worry about, enabling beneficiaries to receive assets sooner rather than later and minimizing the chances for a conflict or dispute around your estate planning intentions. Can Probate Really Take as Long as Six Months? One of the most common reasons for people to initiate the estate planning process early on is to avoid the process of probate. 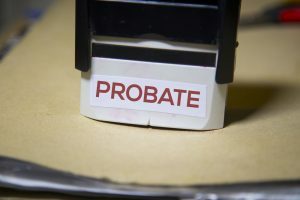 Probate is a public matter and one that can have substantial time and expense for your loved ones after you pass away. Not having a will or other estate planning tools means that your estate will transfer into probate. 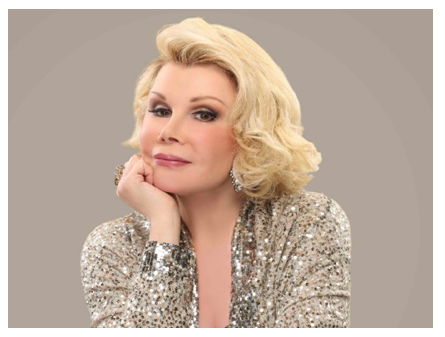 Any person who has to administer a deceased loved one’s estate knows that it can take up to six months after someone passes away or even longer in the event there are contests and challenges that emerge. Assets that are governed by contracts, such as certain bank accounts and life insurance are governed by applicable roles inside the contract, but there are other assets that are governed by probate law. The value of contracts like bank accounts, real estate transfers and life insurance is triggered by death, and these have significant value related to affordability and speed. The probate process, however, can be extremely lengthy and frustrating largely because the primary purpose of probate is to ensure communication and fairness. There is a great deal of grief associated with the passing of a family member, which means that other family members may become extremely impatient during probate administration. However, estate administration going through the probate process usually takes at least six months. The six-month period is because of the many different elements of closing on a person’s estate that needs to occur as soon as possible after someone passes away. Each of these stages, however, can take some time. 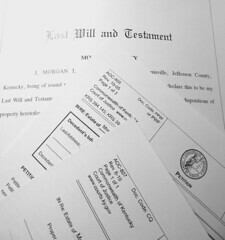 For example, all debts must be paid, all paperwork must be obtained and properly filed, and if someone comes forward to challenge the validity of the will or the estate itself, this can lead to additional challenges on behalf of the loved ones who were anticipating that probate would be closed out as soon as possible. 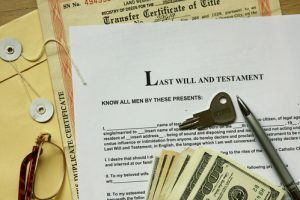 If you would like to streamline the probate administration process by conducting appropriate estate planning well in advance with the support of a lawyer, an estate planning attorney can walk you through every phase of what to anticipate and can help you avoid some of the most common missteps. A lawyer can tell you the best strategies to use to avoid probate so that your loved ones can move on sooner rather than later. In order to have a solid estate plan, it is important to not only carefully put the plan together but to revise it regularly as well. 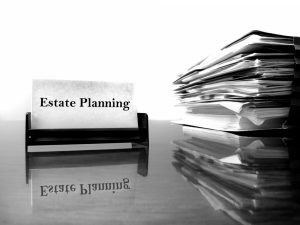 With all the work involved, it is not surprising that estate planning oversights are common. A recent article discusses several estate planning oversights that can lead to unintended consequences. Failing to Plan: The largest estate planning mistake a person can make is failing to create an estate plan. If a person dies without an estate plan, his or her assets are distributed to his or her heirs in accordance with state law. This might provide the outcome the decedent had wanted, but often it does not. Failure to Understand the Difference Between Probate and Non-Probate Assets: A probate asset is any asset that is transferred through a will. 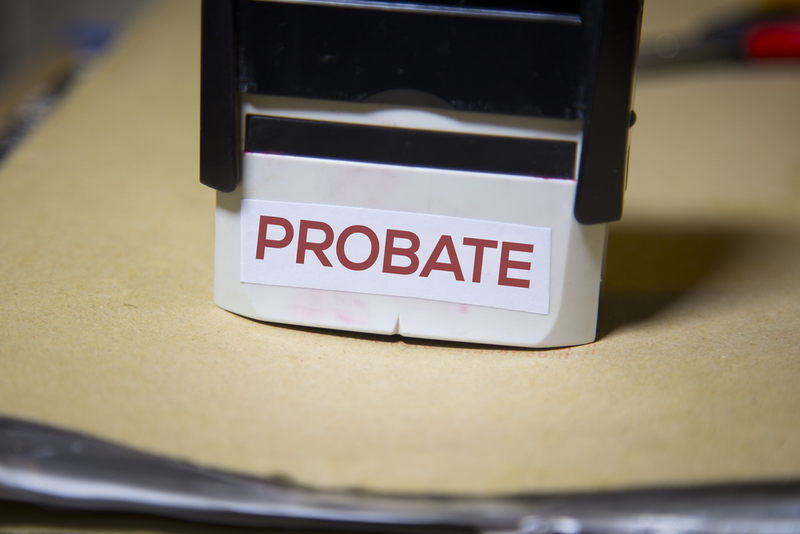 These assets go through the process of probate. A non-probate asset is transferred by contract, outside of the will. In order to create the most efficient and cost-effective estate plan, it is important to understand the differences between these two types of assets. 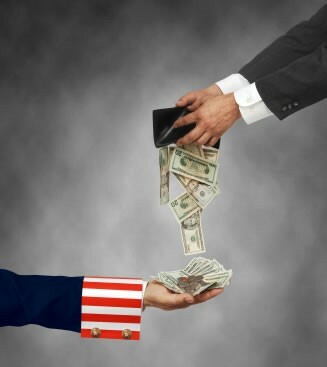 Failing to Pay Attention to Tax Apportionment Clauses: State and federal taxes may be assessed to various assets according to different rules. While some assets may be taxed, others may not. This becomes problematic when two children receive two inheritances of equal value but one has to pay taxes while the other does not. One of the most important estate planning decisions a person can make is deciding who will serve as the executor of the estate. This is a vital decision, because the executor will be in charge of overseeing the distribution of the estate in accordance with the decedent’s stated wishes. A recent article discusses several frequently asked questions when it comes to selecting an executor. Does My Executor Need a Financial or Legal Background? State law does not require individuals to have any sort of specialized background in order to serve as the executor of an estate. However, these skill sets are clearly beneficial when settling an estate. Although the executor can hire an attorney to assist with the estate administration, it is the executor who must make all final decisions. Should I Select More Than One Executor? Most commonly, people select a single executor. However, in some situations, it may be beneficial to select two executors. For example, where the deceased left behind an elderly spouse who is being assisted by an adult child, it may be beneficial if he or she named the spouse and child as joint executors, rather than the spouse alone. Note that this may increase complexities in settling the estate. 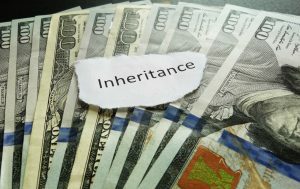 Can My Named Executor Refuse to Serve? 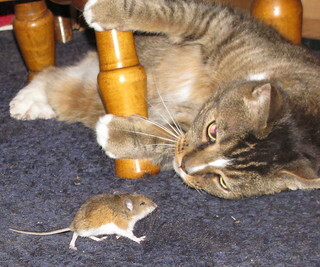 The selection of an executor is not legally binding. Although the chosen executor will be given the opportunity to serve as such, he or she may renounce the appointment. If the decedent named a contingent executor, he or she will take over, if not, the court will appoint one. With the current estate tax exemption over $5 million – $5.25 million to be exact – many people wonder if estate planning is necessary for them. As a recent article points out, the answer is yes. Estate taxes are only one of a myriad of reasons why a person should put together an estate plan. The main reason for which people create estate plans is so that they can be sure that their assets will be distributed according to their wishes. No matter if you are very wealthy, or have a modest estate, an estate plan is vital if you wish to direct the distribution of your assets. Moreover, by providing instructions for an orderly distribution of your assets, you can save your heirs from the infighting that often results. It is also important to draft a valid will if you wish to avoid probate. 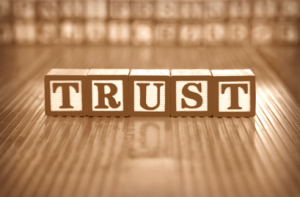 Many people falsely believe that if their estate is not subject to estate taxes, it is not subject to probate. This, however, is not the case. If you would not like your estate to go through the process of probate, you must put together an estate plan that utilizes various estate planning tools that will transfer the bulk of your estate outside of probate. A Last Will & Testament (commonly referred to as simply a Will) is a document that disposes of your property at the time of your death. A common misconception is that Wills and proper Estate Planning are only necessary for the wealthy. This is not true. Whether your estate is large or small, it is beneficial to have a properly drawn Will. Not having the Will properly drafted and executed can cause delays, great expense and possibly force the Will to be interpreted through the courts. If you have not named a guardian for you minor children (as you would in a Will) , if both parents die, the courts or a social worker may have the temporary & final decision as to who should act as guardian for your minor children, not you or your family. Without a Will naming an Executor, the court will appoint an Administrator for your estate who may not know your intentions. After the administrator of your estate has distributed your assets in accordance with state law, your spouse may not have enough funds to live comfortably. Without a Will you cannot leave personal items such as a family heirloom, specific jewelry, artwork, etc. to a particular individual such as a nephew, cousin, or family friend. When creating a Will, it is also important to execute a Living Willand Power of Attorney. These 2 documents are also essential to any basic Estate Plan. A Living Will (also known as a Health Care Proxy or Advanced Health Care Directive) allows an individual to appoint someone to make all health care decisions on their behalf in the event they are unable to understand and appreciate the nature and consequences of the health care decisions. You may also provide specific instructions as to your intentions. A Power of Attorney allows an individual to designate an agent to conduct all business and financial decisions such as purchasing, improving, maintaining any real or personal property, banking, or any lawful business transactions. It can be Springing (takes effect only upon disability or incapacity) or Durable (effective immediately & remains effective upon disability or incapacity). Not having one of these in place can result in required costly court proceedings. A minor mistake in drafting and executing your estate plan may invalidate your good intentions & your lifetime of hard work & savings. A little advanced planning can ensure your family’s goals are accomplished.